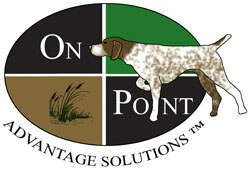 On-Point Advantage Solutions™ is a cost-effective, satellite-driven monitoring system for environmental compliance. Environmental management and compliance is a must for agriculture projects. AGPROfessionals’ innovative On-Point Advantage Solutions™ helps users efficiently manage their daily operations by automatically monitoring, storing, and reporting on-site environmental compliance information from anywhere in the world. 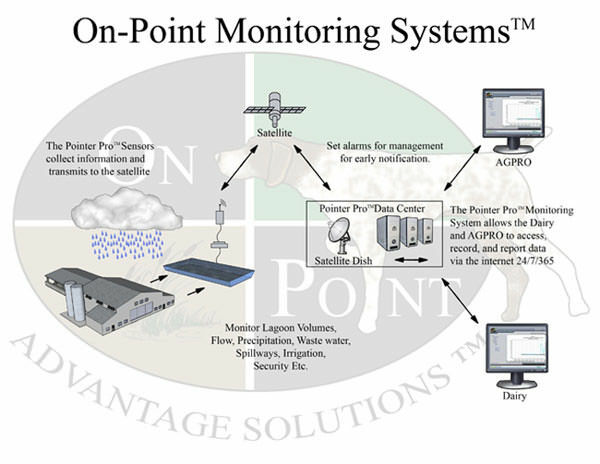 On-Point Advantage Solutions™ are secure, internet-based compliance systems for dairies, feedlots, hog, and poultry farms. There is no software to purchase or install. The system is accessed and administered by encrypted and password-protected users via the internet. This means you can access the system from virtually anywhere in the world, so long as there is an internet connection. On-Point Advantage Solutions™ can monitor, record, and transmit the items listed below. Users can set alarms for minimum, maximum, and rate of change. On-Point Advantage Solutions™ is capable of alerting users via smartphone, tablet or email. It’s like having an ag engineering specialist in your pocket. Contact our agricultural consultants at 970-535-9318, for more information on how this system can improve your environmental systems!